artisanal breads, including banana yogurt bread and zucchini spice bread. director of culinary operations, Americas, Hyatt Place and Hyatt House. World of Hyatt at worldofhyatt.com. 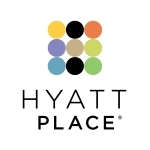 For more information about Hyatt Place hotels, please visit hyatt.com/whysettle. States. For more information, please visit hyattplace.com. and tag photos with #HyattPlace and #WhySettle. margin of error of ±3% at a 95% confidence level. subgroup sample sizes, please contact Glennie Janssen at glennie.janssen@hyatt.com.